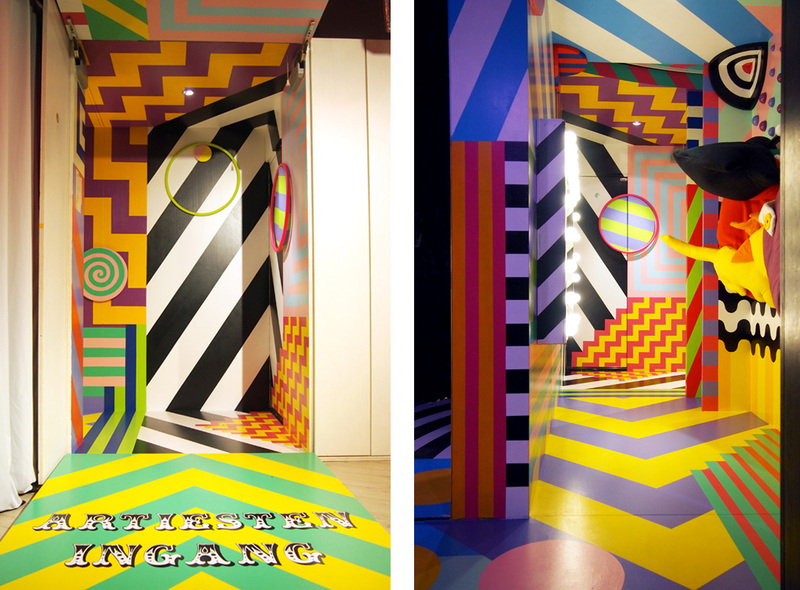 Villa Zebra commissioned us to design and build a new art installation for their exhibition ZELF! (for children between 3 to 6 years). 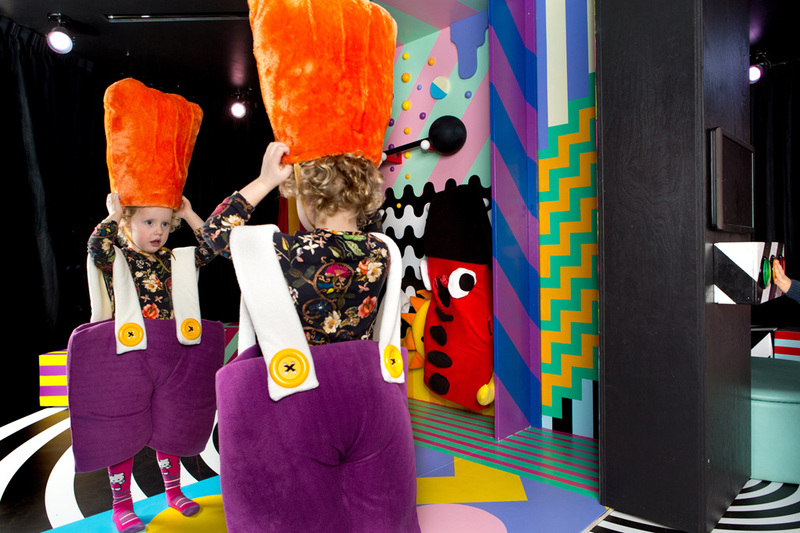 The young visitors can discover, be creative and play in 5 different games and art installations, that have been specially designed by various artists in cooperation with the kids museum. 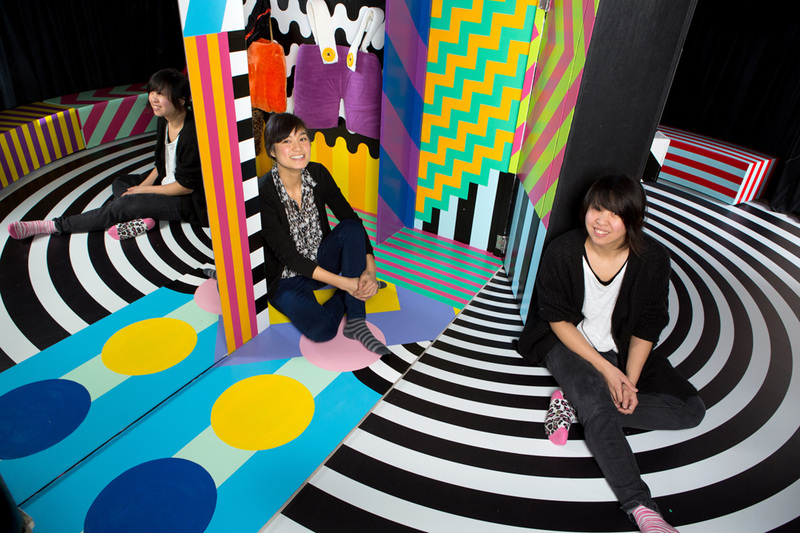 Our new colorful art installation ‘Circus Gibra’ is inspired by the mesmerizing stripes of the museum mascot ‘Gibra’ (a fantasy cross between a giraffe and zebra), and the magical, playful round shapes of the circus. 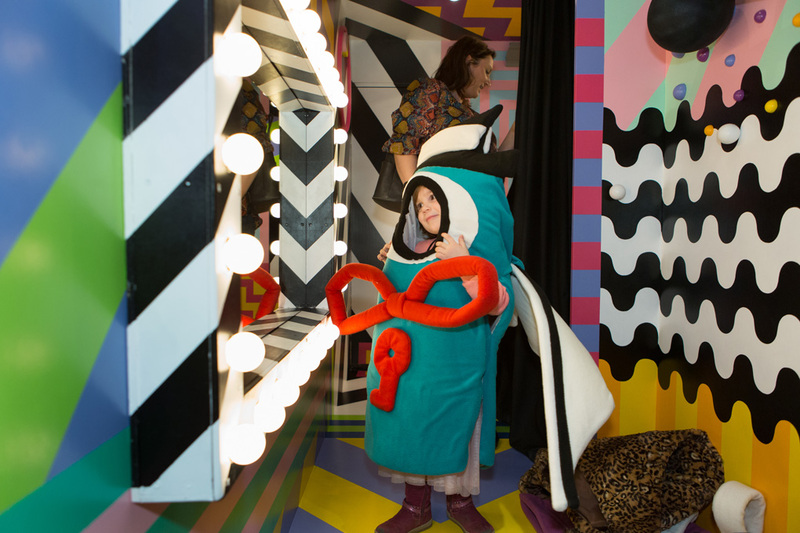 Children will discover the circus by first entering the official backstage, a colorful graphic room where kids can transform themselves in real circus artists. 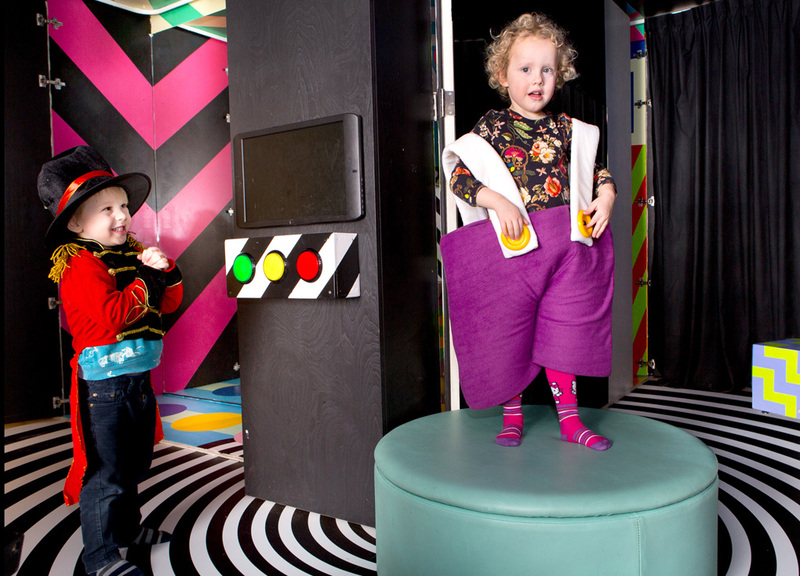 Here the kids can prepare their acts and try a circus suit before they enter the magical circus arena with their show. Most of the circus suits and props are original ideas from children who participated in the ‘design your own circus’ workshops last year. 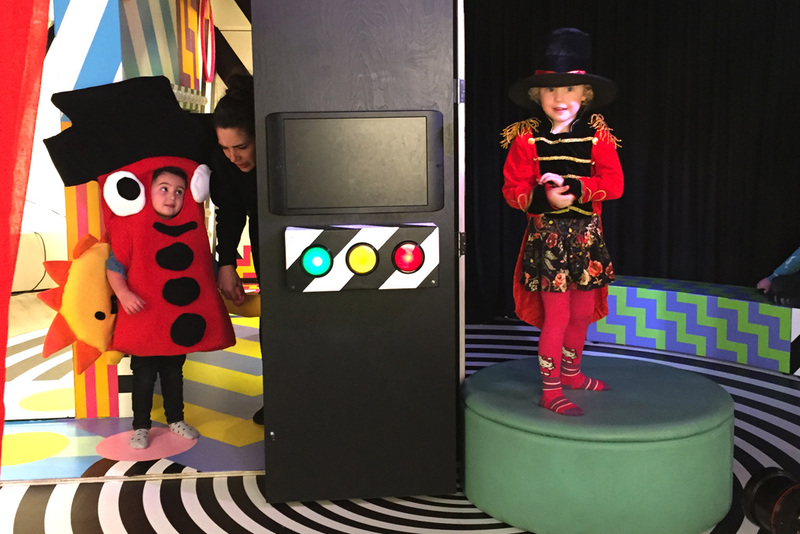 As an interactive show element, we added a sound box with 3 different light buttons (clapping, drums, circus music) which the children can press during their playful circus act. Parents are of course welcome to take a seat to enjoy the show. ‘Circus Gibra’ will be open for at least two years for the museum visitors.